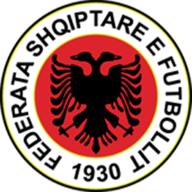 Match ends, Albania 1, Ukraine 4. Second Half ends, Albania 1, Ukraine 4. Goal! Albania 1, Ukraine 4. Yevhen Konoplyanka (Ukraine) right footed shot from the centre of the box to the bottom left corner. Assisted by Andriy Yarmolenko. Goal! Albania 1, Ukraine 3. Emanuele Ndoj (Albania) right footed shot from the centre of the box to the bottom left corner. Assisted by Hysen Memolla. Substitution, Ukraine. Oleksandr Karavayev replaces Bogdan Butko. Substitution, Ukraine. Viktor Kovalenko replaces Ruslan Malinovskiy. Substitution, Ukraine. Serhiy Sydorchuk replaces Oleksandr Zinchenko. Substitution, Albania. Arlind Ajeti replaces Sabien Lilaj. Substitution, Albania. Sokol Cikalleshi replaces Rey Manaj. Substitution, Ukraine. Mykola Shaparenko replaces Marlos. Second Half begins Albania 0, Ukraine 3. Substitution, Ukraine. Evgen Seleznyov replaces Artem Besedin. Substitution, Albania. Bekim Balaj replaces Ermir Lenjani. Substitution, Albania. Hysen Memolla replaces Odise Roshi. First Half ends, Albania 0, Ukraine 3. Goal! Albania 0, Ukraine 3. 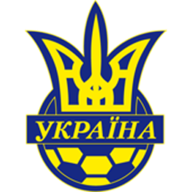 Andriy Yarmolenko (Ukraine) right footed shot from more than 35 yards to the bottom left corner. Assisted by Ruslan Malinovskiy. Goal! Albania 0, Ukraine 2. Andriy Yarmolenko (Ukraine) left footed shot from the centre of the box to the centre of the goal. Assisted by Yevhen Konoplyanka. Goal! Albania 0, Ukraine 1. Yevhen Konoplyanka (Ukraine) right footed shot from the centre of the box to the bottom left corner. Assisted by Andriy Yarmolenko. Substitution, Albania. Kamer Qaka replaces Ylber Ramadani because of an injury.